A special Thank You to all our sponsors who help make Team Rakowsky the success it is! We appreciate all your years of partnership and look forward to many more years. 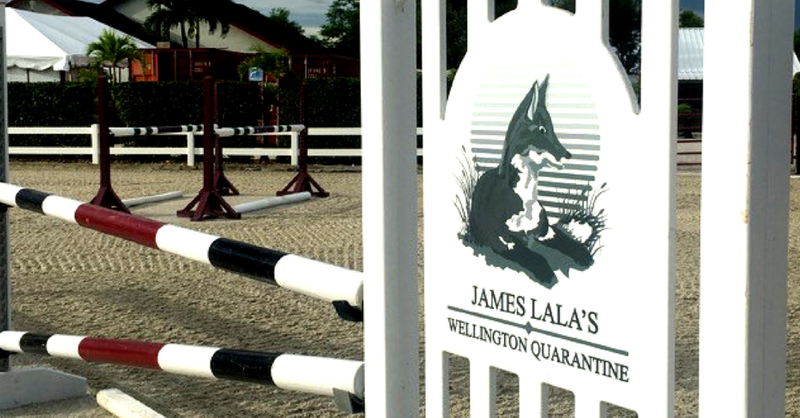 James Lala’s Wellington Quarantine, LLC is a full service C.E.M. import and an approved export facility. All mares and stallions entering the country from Europe are required by Federal law to undergo testing before release into the general population. Located in the “Winter Equestrian Capital of the World, Wellington Quarantine is recognized as Florida’s top CEM Quarantine. Conveniently located just minutes from the Winter Equestrian Festival show grounds, the facility is owned and operated by James Lala, one of the country’s leading riders and trainers. Team Rakowsky Equestrian would like to thank Voltaire Design for their support and sponsorship. Voltaire not only makes top notch saddles, but first class bridles and girths. They are an innovative company that always strives to create the best product for our ever changing sport. They also have an approachable and professional team of experts able to help with any questions or concerns and meet the specific needs of every individual. Team Rakowsky proudly uses and endorses all Voltaire products and tack! We would like to thank Perfect Products, LLC for their unending support of Team Rakowsky Equestrian. Your products help to keep our horses in top form and ready to compete at their best! We encourage everyone to try their products and see the difference! Team Rakowsky Equestrian sends a big thank you to StallWatch for their great product! StallWatch provides the most reliable monitoring system for our horses at the farm and the show. It gives us peace of mind knowing that we can always have an eye on our horses and equipment when we are away from them. StallWatch is easy to transport and set up, with a dependable network and user friendly app. We are always able to monitor our horses from anywhere in the world with the click of a button on our phone, iPad, or computer! Thanks StallWatch! Johnson Horse Transportation, Inc. has over 20 years experience. They provide top notch, state of the art equipment, and experienced horsemen who take great pride in giving your horse the same love and care they get at home. Their knowledgeable drivers and friendly staff help to set Johnson Horse Transportation, Inc. apart to be simply one of the best carriers in the business. Johnson Horse Transportation, Inc. has built a valued, lasting reputation within the horse community as well as being a respected member of the National Horse Carriers Association.